Your account has been debited by Rs750 due to non-maintenance of average balance." Have you received any such SMS from your banker? Chances are that you did not check with the sales representative about the fee structure and hidden charges before you signed on the dotted line while opening the account. In the case of a regular account, you are required to complete documentation that usually includes proof of residence, photographs and an introduction from an existing customer. However, you need to maintain a minimum average quarterly balance, failing which the bank will impose a fine that can range from Rs75 per quarter in the case of nationalized banks such as Allahabad Bank, to Rs750 for foreign banks such as HSBC . The average monthly balance for an account is the sum of ending daily balances divided by the number of days in a month. In the case of a no-frills account, the know-your-customer (KYC) norms are more relaxed. Also, the minimum balance and charges are less for no-frills accounts compared to the regular savings account. State Bank of India, for instance, offers a no-frills account with an initial deposit of Rs50 and you are not required to maintain an average quarterly balance. Most other banks follow similar practices for such accounts. 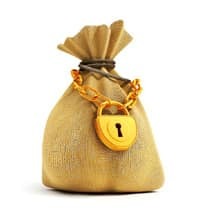 In case you are opening a salary account, the procedure is simpler, though the documents you are required to fill will almost be the same as a regular savings account. For salary accounts, banks usually offer a “zero balance facility". It is advisable to read and understand the terms and conditions thoroughly before you sign on the dotted line. It is likely that the bank imposed the fine for non-maintenance of average balance because of a change in policy, of which you were not intimated or somehow lost track. You can approach the bank and enquire about the charges levied. Or, if you feel that fee structure and other charges were not stated clearly, approach the banking ombudsman with the required documentation. The Banking Codes and Standards Board of India (BCSBI) mentions that the bank has to explain the key features of the products and services that you wish to avail of. In addition to this, the bank will explain if that particular product can be provided through different means, such as an ATM or the bank’s website. However, fee structure and charges are not carved in stone. They change over a period of time. Banks usually display the tariff schedule in their branches and inform their customers regularly—through mobile alerts, emails or letters to the correspondence address. Any change in rates and introduction of new charges are notified prior to becoming effective. If such changes are to your disadvantage, you can close your account or switch without paying any extra charges or interest.